A total of twelve, 119″ dia. double slotted hinged expansion joints, thirty-six, 72″ dia. 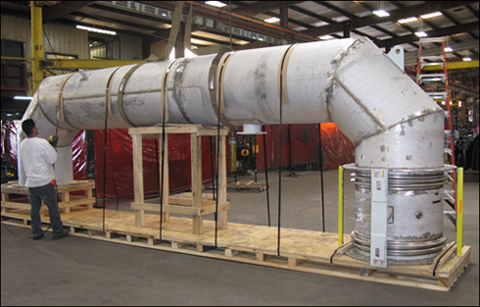 elbows and twelve, 119″ dia., 55′ long header ducts were fabricated for a power plant in Mississippi. 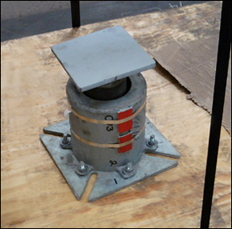 The expansion joint assemblies were designed for .5° angular movement, 3/8″ lateral, 1-1/2″ axial compression. The design conditions were 5 psig at 300°F. The duct work was fabricated from A-36 carbon steel material and the bellows were fabricated from 304 stainless steel. A dye penetrant exam, soap and air test and spot x-ray on all duct seam welds was performed prior to shipping. 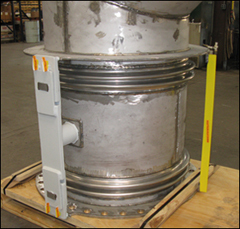 This week’s featured product is on a hinged universal expansion joint and duct work assembly custom designed for an exhaust duct application in a power plant in Kenya. The hinge hardware was fabricated from carbon steel, while the rest of the unit was fabricated from 316 stainless steel with Inconel 625 bellows. An F-type variable spring was also provided for this project and will be used to support the center spool between the two elbows. The duct work with expansion joint is 36″ in diameter and the distance between the centerline of the two 90 degree elbows is 240″. It is designed for 20 psig at 115°F and 1/2 degree of angular movement. The entire assembly was 100% dye penetrant tested and a soap and air test was performed prior to shipment. 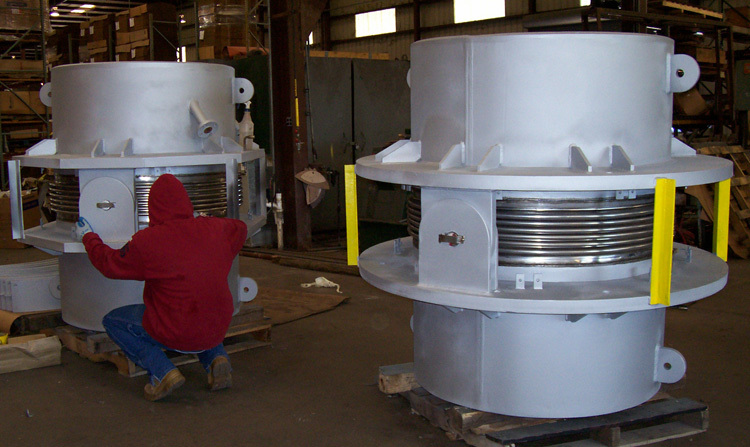 U.S. Bellows, Inc. designed and fabricated two 44″ hinged expansion joints with 5″ thick refractory lining. These expansion joints are part of FCC stand-pipes in a synfuels plant. 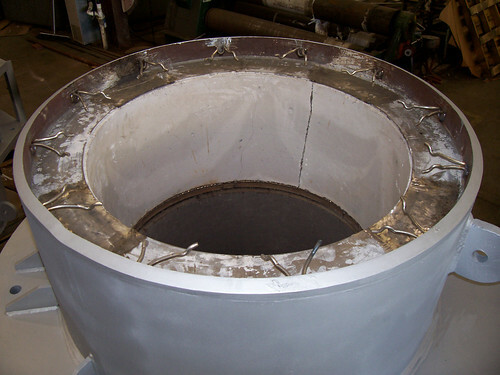 Each expansion joint is fabricated of two-ply Inconel® bellows and 3/4″ wall pipe. The joints consist of 2″ thick attachment rings. 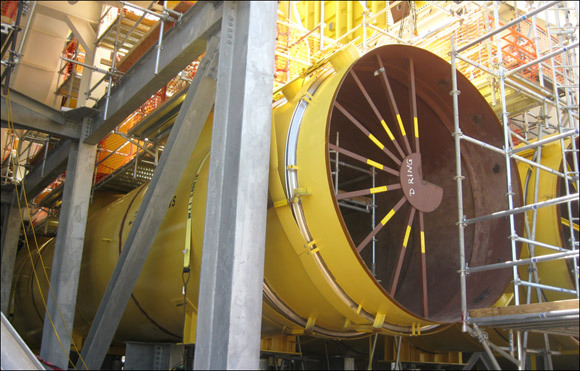 After fabrication, the expansion joints were pneumatically tested and inter-plies tested. The bellows and pipes were 100% x-rayed and PMI tested.